String the kidney beans, place in boiling salted water and boil for a few minutes. Soak in cold water, drain and cut into lengths that are easy to eat. Combine plum pulp and mayonnaise. 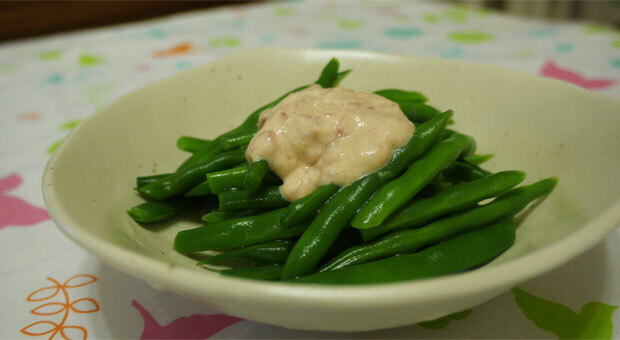 Put the plum mayonnaise on the kidney beans.